At the 17th Annual Diversity Career Fair, AL DÍA welcomes Philadelphia Mayor Jim Kenney for the inauguration and ceremonial ribbon cutting. Mayor Kenney, who is expected to arrive at 9:30 a.m., will be introduced by AL DÍA News CEO Hernán Guaracao, then give his brief remarks about the value of a diverse workforce and the wealth of career opportunities available in Philadelphia to people of all backgrounds. 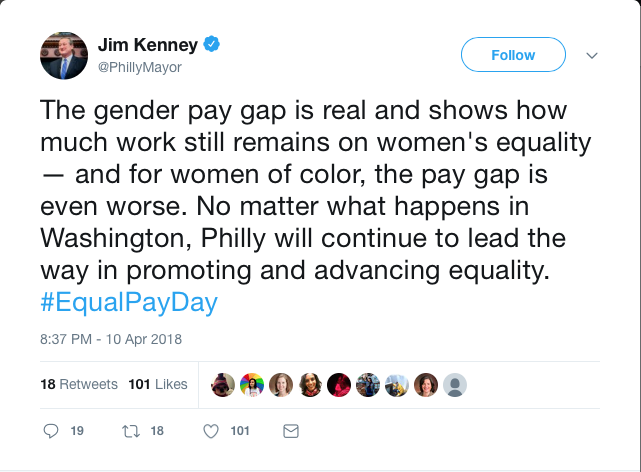 Mayor Kenny has consistently talked about the importance of increasing diversity and fighting implicit bias in the workplace. Philadelphia is exceptionally diverse, boasting the second highest population of immigrants of any city in the northeastern U.S. (behind New York City). According to the City of Philadelphia Action Guide Immigration Policies, between 2000 and 2013 immigrants were responsible for 96 percent of neighborhood business growth in the city. Since 2000, immigrants have been responsible for 75 percent of workforce growth in Philadelphia and have created almost a third of the nearly $1 billion in earnings generated by small business owners in the city, according to the report. But according to the Bureau of Labour Statistics: link to https://www.bls.gov/spotlight/2013/foreign-born/home.htm , there is still a discrepancy in both representation and wages between foreign-born and natives in the U.S. With the intention to address this issue and promote networking between corporate recruiters in our city and well-prepared professionals, AL DÍA News has organized the annual Diversity Career Fair. On Thursday, for the seventeenth consecutive year, AL DÍA News will host the Diversity Career Fair, presenting an opportunity for recruiters to meet with well-established professionals from the most diverse backgrounds and true representations of Philadelphia. Attendees are encouraged to dress accordingly and bring 20-30 copies of their resume. They will have the chance to interact with recruiters, learning more about the companies and their open positions, as well as tell the recruiter about themselves and their professional experience. Registration is free. Although uploading a resume is not required for the registration process, it can boost candidates’ chances to connect with a recruiter. Ask someone to proofread your resume. Research beforehand the companies you are interested in. Be ready to talk confidently about yourself.